Auto aggro from Initial Group and spawns. The initial formation is composed of three groups with a Cruiser and a Battleship in each. Each Cruiser killed will trigger a spawn wave. Each wave is composed of four spawns for a total of 12 spawns. Reminder: set your drones to passive to avoid triggering a swarm. Spawn composition and distance may vary with each wave. To manage aggro, work on a single wave, then kill the next Crusader Cruiser. Flag the Cruisers at the beginning to make it easier to keep an eye on the triggers. The mission is flagged completed once you have killed the last EoM Death Lord. 44 Veldspar asteroids (33- 118km). MWD is allowed in this mission. Sometimes , rarely tho , npcs agro the drones. It might be noteworthy that after one of the initial 'Crusader' triggers is killed the subsequent order (left-mid-right) is pretty much askew. Don't worry just try to keep the sequence of those initial 'Crusaders' in mind. Have completed this comfortably in a Sleipnir. Good payout for minimal effort. Worst DPS was from the initial spawn (not particularly threatening), so take out the BSs before killing a cruiser - then follow each tree. Completed in a Maelstrom 2*kin 1*therm hardeners + LSBII. Warp in to 70km and don't need to move from warp in spot with artillery fitted. Every wreck has loot amounting to about 3500m3 in total. Bounties/salvage/loot/mission reward has averaged about 25Mill the last 4 times I've ran this - total turnaround to kill and loot/salvage 1hour for 3Mill SP character. Just completed this in Quantum Rise and it went as detailed above to the best that I could tell. I pulled in 24mil after Bounties/salvage/looting/mission reward and time bonus. It's a rather easy mission to complete (Hyperion with 6x 425mm's, 3x CRU II's, 1x kin, 1x thermal hardener, 1 LAR II, and 2x 1600mm Tung Plates). I cycled LAR only when needed. I warped in at 50km and was within my optimum for large rails. Waves didn't attack drones so they stayed out the whole time. Would have went quicker had I used drones earlier. In all about 1hr 30mins to complete with salvage. Ran this last night with a passive tank typhoon 3x1200mm Heavy Scout Arty, 4xMalkuth Cruise Launcher, 7xShield Relay II, 2xLSE II, 1xBallistic Deflection Field II, 1xHeat Dissipation Field II, 3xCore Defence Field Purger I. Warped in at 40km, killed the BSes, while tanking the cruisers, then worked through each chain one by one. Had to warp out once because of cap drain, but otherwise didn't even need the HDFII. Very easy. piece of cake in my abaddon too. 1 lar perma-running, never got under 100% armor, thermic+kinetic hardener/membranes, beam lasers. warp in at 0. this still gives a 70km range from first spawn. kill all the spawn ships, and its still easyer to tank than most other missions. armor drops to 95% before cycle. have had the occasional problem with them targeting drones. can be done in 30 mins if you dont care about that you kill. 9.5 million ISK in bounties, but poor salvage. About 6mil in salvage, 15 mil in loot (half of this was a single Mega Modulated Pulse Energy Beam I), about 10 mil in bounties. Rather easy mission, it's basically just BS after BS one at a time, not hard hitters either. For what its worth, when i did this mission i found 3 @pulsating beacons and each spawn seemed to come within about 10km of one of these. very easy mission though so info not really that important. Drone boats might want to make sure their range goes out to 50 km. When I warped a 2-person fleet in, the 2nd person was over 60 km from the first. This is a rather easy mission if you kill the triggers last. Even beginners should have no real problems here. In addition this quest offers a really great ISK/time ratio due to high bounty, extremely nice salvage loot (many large wrecks) and very good loot. Loot+Salvage > 3000 m³ in most cases. Bring an industrial after getting all the loot and salvage materials into 1 container. Loot everything and reprocess the low quality crap. The mission took me (2,36m SP) exactly 1 hour including salvaging, looting and bringing the stuff back with an industrial. --> ISK/hour = 25.3 million ISK. Simply a great mission! If DSP is managed. As written in tips. I would classify this as an easy lvl 4 mission. Bounty and salvage quit a bit below the above. Just did this mission with a comrade, frarn, not difficult at all, but there were at least 2x the waves listed here. There were about 6-8 Hydras in total, 4-5 Ogres, and 3-4 Death Lords once we finished. I couldn't keep exact track cuz a ninja came in on us. But there was still plenty of reward left. The last wave warped in right next to the solar harvester, which is about 160km out from where we ended up after pursuing the other spawns, so we just warped to them. Hydras = 500k bounty, Ogres=750k, Death Lord=1mil. VERY lucrative mish, even minus the salvage that got ninja'd. Wave 2 doesn't always include the frigates, I seem to get them only 1 out the 3 branches. easy mission in a tempest fleet, i dont even the watch the triggers anymore. just pewpew everything which is convenient. Tech2 Kinetic and Thermal Hardeners make huge security on this mission. A moderately meta3-outfit Raven should still complete this with ease, especially with the option of warping in at up to 100k. Done on a Megathron. As mentioned, one of the easiest and most profitable (isk/h) L4 so far. Salvage consisted of fried/burned/charred circuits and scrap metal only. About 3.000m3 of loot though. I did this in a domi, Launched 2 Heavy, 2 Medium drones and one sentries. And just let them run. Tanked it easily and pretty much went afk while doing the mission. Mission could be done AFK with drones on auto. In Raven. T2 fit. Fairly simple mission. If you cant handle the DPS follow one ship line at a time. Kronos fit, 2kin 1 therm, 1 large amarr lar, 3 gallente mag stabs. 1 gist 100mnab, 2 cap rechargers 1 optical tracking computer with tracking script. Cap lasts for just under 3 minutes. Plenty of time. Done in afk domi with ogre IIs, 1 cpr, 2 lar, 2 therm and 2 kin hardeners, all t2. Have to say that this is a very good mission for its payout and basically I left my computer on while I took a shower and when I came back it was all done! Note: It appears that the new spawns target the ship with the highest meta level. If looking to do this mission quickly in a Dominix, break out Wasps when the Death Lord spawns. He's got considerably high thermic resist. All in all easy mission to do in my drake and have done it serveral times on level 4. Just remember to brings lots of missiles. Completed in my Raven - mostly tech I fitted. Was easy, even though I got the triggers wrong most of the time :) Not particularly high incoming DPS. 6 x XT Cruise launchers with wrathcruise missiles. BTW this is better done with 3 Kinetic and 1 Thermal hardener. You should go for 2x kin, 2x thermic, actually. More efficient and less stacked resists. Done this mission in varying ships, including a Vindicator, Kronos, Golem, Paladin, Nighthawk and Machariel. The ships that deal Kin/therm and have a high native tank against it (T2 Caldari/Gallente) are the most optimal for use here. Opt for Gallente gunboats, they're amazing for this task. Easily done while looking at all these comment. Best isk/hr L4 there is. More please! As stated, very easy Lvl4 *if* you manage aggro per guide. Quick & effortless in Tech2 fitted Drake. Plenty tank for this mission with 2LSEII, 1x tech2 KIN hardener, 1x tech2 THERM hardener. Only ran the shield booster once or twice for aesthetics. Under 1 hour including salvaging. Very easy Level 4 mission one of my favorites. This mission took me 23 minutes and another 4 to get the rest of the loot. There is round 3400 m3 of loot. For me this is the second most profitable mission of all. This would bring you 60 mil isk for every hour! This mission was done today using a Golem that does 627 damage per second. Using a CNR and than salvaging took me 35 min and that makes almost 48 mil per hour. Got this mission twice today, did it both times in an Abaddon (DC II, 2xKinetic 1xThermal and a rigged Large Armor repairer). First time, I followed each tree and it was a walk in the park. Second time, I took out all the spawn ships first and it was more like a run in the park. My cap-stable Maelstrom with 1LSB II and 3 Invuln II and 1 DC II just shrugged off the damage. I prefer to kill targets smallest -> largest and even with 6 bs and a few cruisers my shields just never degraded. Done in a Drake several times, now easily in a Raven. Webbing frigates were in centre spawn this time, not left - maybe they move around. If you can tank the initial 3 BS, you can tank the whole mission, if managing aggro properly. Done in maelstrom. Warped in at 100km. No problems with tanking at all. From this range you can shoot all of them without moving from position. Finished in cca 40 min. I jumped in too at 100 km, unfortunately from the wrong angle. So the first wave spawned at 30 km. Had to warp out and warp in again to get to the right distance. Done in a Cynabal. Warped in at 70km, as normal. Very easy. Just MWD or AB burn to within 1.5km of each hydra and bring it down with AC. then move on to the next one. Ignore the cruisers for the most part while you are working on each spawn tree. If anything smaller than a cruiser appears, use your speed to pop them at range, webbed is auto death. In terms of loot-efficiency this is clearly one of the very best missions out there. It's very easy, the incoming DPS are laughable. Still it gives great loot and salvage materials due to the great number of large ships involved. Booster was rarely used even in the beginning. The DPS on this ship is a little low. T2's please? Anyways really easy, might as well follow the triggers since you only shoot one ship at a time right? I would probably swap Tracking for another Gyro, since only the Dread Lords stay out past 30 km. Some times the spawns jumped around, leaving me to fly in range. you'd think a faction bent on the complete and utter destruction of all humanity would have better weapons. The EoM Hydra ships can hit you with cruise missles at over 150km, so be careful if you choose to snipe without a tank. Great mission for a drone boat - spawns do not attack drones. Just equip a drone link augmentor, throw out your T2 Heavies and go enjoy RL for half an hr. The wrecks will be waiting when you return. :) Only kink is sometimes a BS will warp in at 120k+ so there might be a lone BS still kicking. Confirming DoctorNho's comment of only ~1.7*10^6 Veld. I just got the same. Next time will try popping all triggers first to speed things up a bit. Seems that thermal and explosive damage types are similar in effectiveness, though most of the time thermal works better. But kinetic does so much better than either thermal or explosive that I was getting quite a bit more damage with titanium sabot ammo than with either phased plasma or fusion (against shields). My experience here correlates with the list of resistances provided in the Ships Detail section. I would suggest updating the recommended damage dealing to reflect this. 16 mins in a T2 Pulse Navy Apocalypse. Next time need to fit more heat sinks since I barely took any damage. Nice and easy mission fo Drake pilots above 3 000 m^3 of loot. Finished in 25mins (including salvage) in CNR, really easy and fast one. (I just got 10 Cap Booster 400 and 30 Cap Booster 800 out of this mission. Take a look at what you get at refining them first, then make a new statement at them being useless.)" Kinetic is the worst damage against EoM, at least in this mission. Did this in Vargur: 500-600 damage per hit with Titanium sabot and 1300-3500 with EMP L (em damage). Addon: aggro is manageable - first 4 BC are triggers. Confirming what said above: Veldspar has been nerfed again, down to 1.709.488 units. I did this with a omi tank domi. Just use sent on the bs and everything that's far away. I used t1 scouts on the small ships and t2 on the med size when they got to close. Cruise Missles: 383dps - 130km range. Very easy mission, maybe 40 min. HOWEVER, contrary to this report, some rats were doing EM damage as well. However, not enough to worry about (no need to fit an EM hardener). solo omnitank tach paladin takes ~5 min to blitz this. I used tachs, fit for optimal range, xray for initial spawn then gleam for the up-close rats. Diemos does a nice job with cal. antimatter and hob II's. Tag initial triggers and kill there spawn one at a time. After the spawn, kill another trigger, so on so forth. Loot with salvage 6.5 mil. Bounty 1.7 mil. Mission reward 2.04 mil. ~9 Mil in loot and salvage. I'm not sure if this was a fluke, but I just collected 20mil in loot alone as of mid-September 2015. Lots of high-meta level guns, AB / MWDs, plates, smart bombs, webbers. Salvage was ~1.5 million. I like to farm this mission, so I left the last death lord alone. I'll report back on loot values in the future to see if perhaps higher-value drops are now more common on this one. I just came in at 15M loot + salvage..but that is at the "estimated price" as shown in your inventory. took 3 trips to bring it all back. lots of size large items. super easy with aggro management. never even turned on the shield booster. Good mission, just did this with a Myrmidon (DCII+EANII+Reactive Hardener) and 4 x Warden Is. Damage was manageable with armor reps here and there. 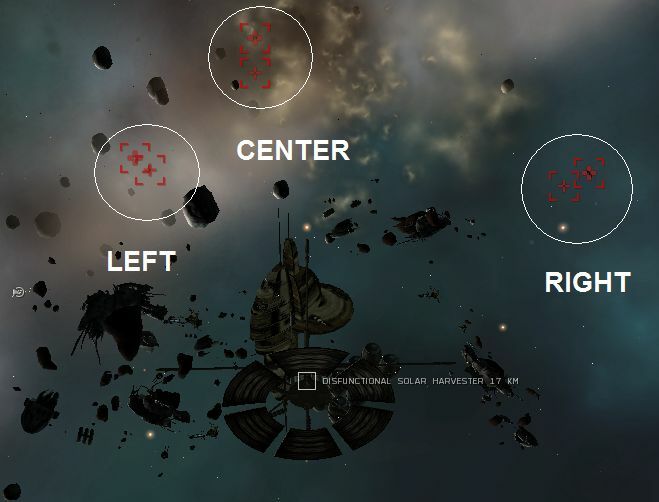 Orbited main structure and railed ships from afar. NPCs never targeted drones. Bounty about 11M and loot about the same. Pretty sure the blitz didn't work just now. Will try to repeat.